Home / News / 2017 Pilton Party with Bastille is a sell out! 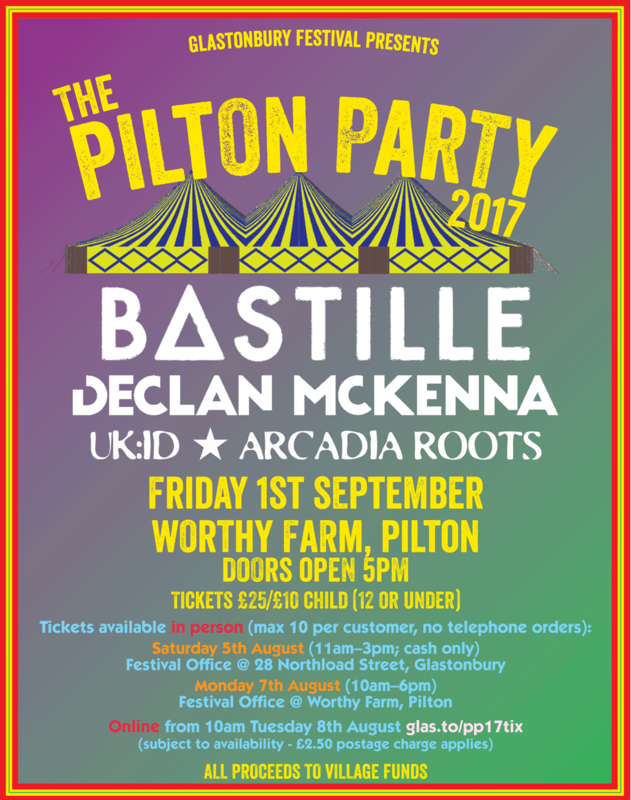 2017 Pilton Party with Bastille is a sell out! Follow the official Pilton Party Twitter account, @PiltonParty2017. 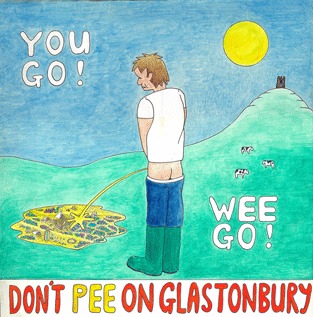 Glastonbury Festival’s annual ‘thank you’ fundraising gig for villagers, workers and local people – billed since the 1990s as the Pilton Party – returns to Worthy Farm on Friday 1st September. Topping the bill this year will be the incredible Bastille, who were last in Pilton to play a triumphant set on the Other Stage at Glastonbury 2016. Since then, they’ve seen their second album, Wild World, top the album chart and win Best Album at the 2017 NME Awards. Also on the line-up is the fabulous Declan McKenna, who won our Emerging Talent Competition in 2015 and whose wonderful debut album, What Do You Think About The Car, has just been released by Columbia Records. Two winners from the long-running Pilton Working Men’s Club ‘Battle of the Bands’ competition, UK:ID and Arcadia Roots. Locals had the chance to buy tickets on Saturday 5th August when the Festival opened the doors of its Glastonbury town office in Northload Street at 11am. 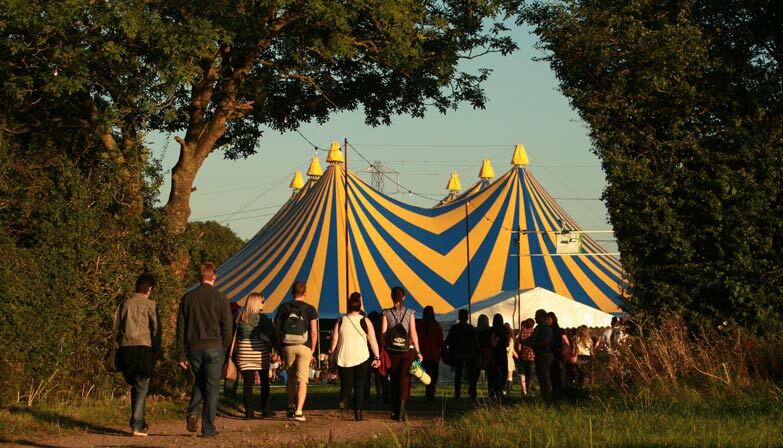 There was a second chance to buy tickets in person on Monday 7th August from the Festival’s office on Worthy Farm. Following those in-person sales (which were only advertised locally), the 2017 Pilton Party is now completely Sold Out. Thanks to everyone who’s bought tickets – we’ll see you on Sept 1st!